Skygarden at The Pinnacle involved revitalizing an existing 19th floor rooftop terrace into a vibrant building amenity and restoring the locally iconic “sail.” The overall design directive was to reimagine a previously sterile and unused rooftop deck into a lively lounge and event space with multiple zones to host individuals, intimate gatherings and large groups. Careful selection was given to all furnishings, ensuring they could withstand exterior conditions including rain, high winds and UV exposure. The new landscape plan replaced overgrown plant material with simplified and strategic green areas. 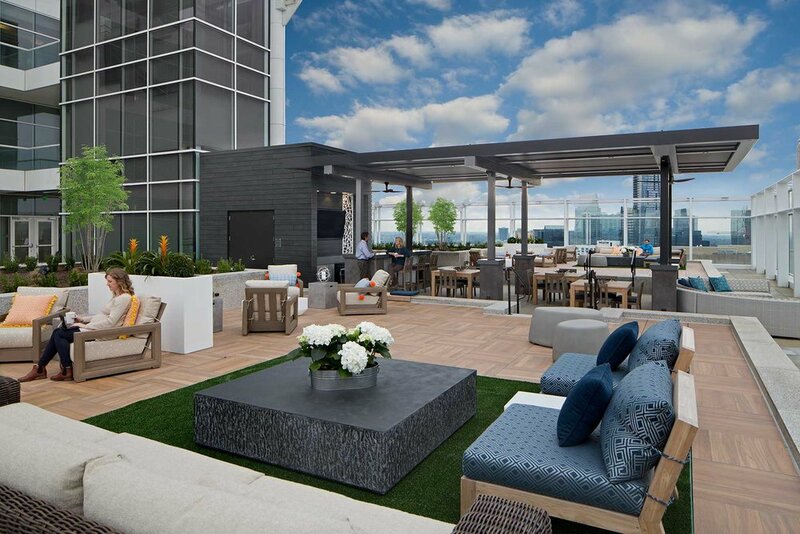 This allowed the design team to create elevated seating and capitalize on spectacular 270-degree views of Atlanta’s Buckhead neighborhood. 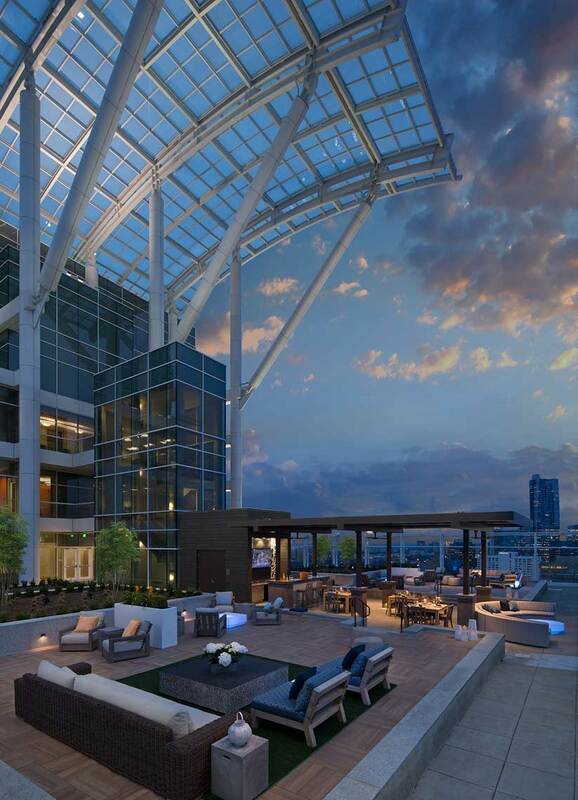 Reinventing an under-utilized, barren roof-top terrace into an inviting and sought-after “third place” was the client driven goal; outcome and usage continue to surpass expectations.